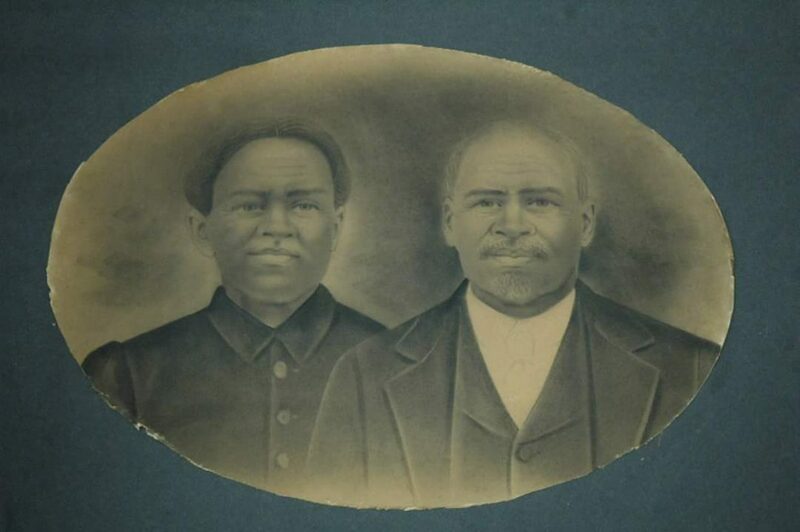 Reverend Job and Abigail Skeeters, Sardis SC, Contributed by Vickie Altmon. When Was This Photo Taken? : Late 1800’s Before 1908. If you would like to share a story about this ancestor, please type as little or as much as you like in this box. : Rev. Job Skeeters(Jobe Sketoe) was born in 1830 in Sumter County. The original spelling of his last name was Sketoe. After slavery in 1867, Job Skeeters was selected by members of Sardis Baptist church to site a new church. He was the first pastor of New Zion Missionary Baptist Church 1.,in Timmonsville /Sardis SC. At that time Sardis was in an area called James Cross Roads. He married Abigail Skeeters ,who was the servant of Jacob Hudson. During slavery Abigail was referred to as Abba. Rev. Job and Abigail had 14 children, one of which was my great grandmother Mary Skeeters Brockington. Rev. Job Skeeters passed away in 1908 in James Cross Roads and is buried in the old Hudson Cemetery. What a privilege to have this picture and the story behind it! Yes, thanks Linda. I am truly amazed and thankful for all that my ancestors went through so my family could have a better life. We are blessed because of them.